It has been ten years since the very first season of American Idol premiered on the Fox network. At the beginning it was a small singing competition with an unproven track record. While the show has had its hits and misses, stars like Kelly Clarkson, Carrie Underwood, Jordin Sparks and Chris Daughtry have given legitimacy to a television show aimed at music fans. While sales for the shows largest artists have been massive, there is a glaring scar on the face of the American Idol franchise. 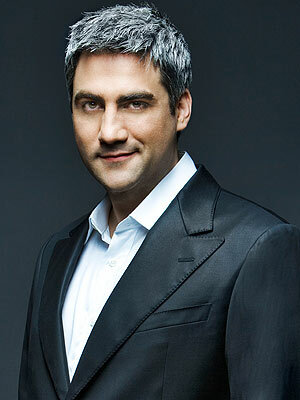 His name is Taylor Hicks. This isn’t just personal, there are clear numbers to back it up. Taylor Hicks won season five of American Idol, beating out Kellie Pickler, Katharine McPhee and one of the most successful Idols ever, Chris Daughtry, who finished that season in fourth place. The very first thing to look at is what happened before season five. Season four featured Carrie Underwood as the winner. Up until that time, this was the highest television rating the show had ever accomplished with over 27 million people tuning in throughout the season. Underwood went on to sell seven million copies of her debut album “Some Hearts,” still the most in American Idol history. Coming off their best season to date, (Underwood outsold Kelly Clarkson’s debut album by 4.3 million copies) season five was poised for big ratings, driven by the country sensations win in season four. Looking back at the ten year mark, season five (Taylor Hicks winning year) would remain the highest rated year ever achieved by Idol with over 31 million viewers. Unfortunately for American Idol, the millions of people tuning in each week were shocked and disappointed when Hicks, a 29 year old, grey haired singer who catered to the oldest part of Idols audience beat out two country stars and a future rock superstar to win it all. Aside from being the oldest American Idol winner (a record that still stands), he sold less than 1 million copies of his self titled debut album. To put this in perspective, Daughtry’s debut sold 4.7 million copies and Pickler’s album sold nearly 0.9 million copies. How was it possible that Idol had its largest television audience to date while selling less than previous winners Clarkson, Ruben Studdard, Fantasia Barrino and the aforementioned Underwood? The answer was Hicks. The geriatrics that voted for Hicks were unable to make it out of their retirement homes to purchase the album and let’s face it, after a string of winners in their early 20′s, Idol was no place for a singer pushing 30. Up until these last two seasons (seasons 8 & 9), Hicks had the lowest selling album in American Idol history. Even these numbers are slightly skewed. The drastic drop in overall record sales during the years Kris Allen and Lee Dewyze won, could be viewed as the major contributor to this drop in sales. All of this math leaves us wondering. What if Chris Daughtry had won? What if the millions of viewers tuning in had seen country sweethearts Kellie Pickler or Katharine McPhee win it all? In the end, Hicks owns a few major Idol milestones. He won the highest rated season of Idol to date and has become one of the least successful winners ever. With minor stints on Broadway, in non-leading roles, he is currently pushing his second album “The Distance” which has sold a dismal 52,000 copies. For someone who once performed weekly in front of over 31 million people, this is simply unacceptable. Hicks ruined American Idol and will always be remembered for ruining the credibility of one of the best reality television shows in Fox’s history. RIP American Idol. What????? Unsuccessful, I disagree with you! I have followed Mr. Hicks for seven years now attending his concerts, attending Broadway shows, and now his performances for Caesar’s Properties. I have been to Vegas multiple times just to attend his performances and he’s his shows sold out. He has been featured on the cover of “Las Vegas” magizine as the “hottest show in Las Vegas”. In all performances he is rated #1 singer, musician, and actor. He is caring and cares about his fans. I am proud to still be a part of the Soul Patrol after all these years! I could go on and on about Mr. Hicks but your opinion is yours, not mine. AI has failed due to Simon and Paula leaving the show. Thank you for an opportunity to express my opinion.